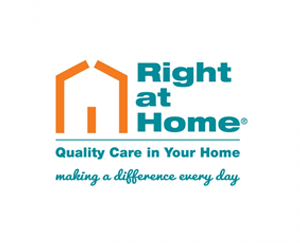 At Right at Home South Cheshire we aim to make a genuine difference to the quality of life of those we serve in the local community. We focus on improving the lives of those we care for, not just maintaining quality of life. We firmly believe that to provide an excellent service, you need time. That’s why we have a preferred minimum visit time of 1 Hour, enabling both our CareGivers and Clients to have a positive experience that allows not only time for support to be provided where it is needed, but also to have a conversation and allow for social interaction. This is where we believe we can truly “make a difference every day” to the lives of our Clients. Our CareGivers are handpicked by our management team. We provide extensive and comprehensive training and ensure that personalities are well suited to those of the Client. We will provide a consistency of CareGivers and will never send a CareGiver who has not previously been introduced to the Client. Whether you or a family member needs a little extra help around the house, assistance at either end of the day, or 24 hour support to live at home, Right at Home could be the answer. Our carefully trained and friendly CareGivers provide help with a wide range of tasks including housework, shopping, cooking meals, washing and physical assistance, as well as personal and continence care. Our services are reliable, flexible and highly-personalised, prioritising our clients’ interests above all else. We treat our clients as part of our extended family and aim to become an indispensable part of their support network.